Cheapest Linux Web Hosting Plans, Best Linux Unlimited Shared Hosting with Cpanel in India. cPanel, CloudLinux, PHP, MySQL, Apache and FREE SSL . cPanel is most popular Linux server web hosting panel. Its User interface and icons make website hosting very easy. CloudLinux OS improves stability and security of Linux server. It keeps one website isolated and safe from other websites hosted on the same server. Firewall on our servers is positioned on the network node itself. It protects from harmful access and other requests. Most efficient Antivirus installed with latest and updated virus definitions. It keeps our Web hosting server safe from Virus, DDoS Attacks. It provides easy installation to all popular open source web applications. Softaculous has more than 435 great scripts to install in one click. Lets encrypt is a free and open certificate authority which provides free TLS (transport layer security) certificate. It is a CA (certificate authority) in which free SSL certificates provided and it is secure just like paid SSL certificates. RVSiteBuilder is a website development platform which offers a way to create the website without having coding skill. It has more than 754 web templates and it will boost the sales of any hosting company. In cPanel there are three standards webmail applications are available: Horde, Roundcube and squirrelmail. User can easily manage emails through these applications. PHP is most popular programming language for web application development. Our servers support latest and all previous versions. Our servers support latest and all previous versions MySQL Database. Apache is the widely used web server software which is freely available on the internet. Apache is specially developed to run on Linux, Unix, windows and MAC. This open source software is reliable, fast and secure. Can i Use Linux web hosting for my already registered domain name from other registrar? Yes of course you can place an online orded for already registered domain name. You can select the third option while ordering Choose a domain "I will use my existing domain and update my nameservers"
How much time it will take to activate the Linux Web Hosting? It will activated instatantly and details will be emailed to you. Which is the best hosting plan for website from Linux or Windows? Both hosting plans have their own advantage. 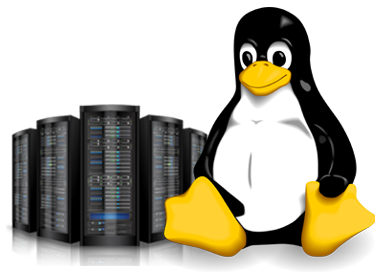 If you have developed your website using PHP and MySQL then you should take Linux Hosting plan. But, if your website developed in ASP.net, MSSQL, MS Access then Windows hosting is best choice. How do i upload my website into hosting space? After activation of the hosting account we will send you login details in your web space. You can easily upload your files through hosting control panel or FTP software. For the large files we always recommend to upload files through FTP software like Filezilla, Winscp. For more queries you can contact to our support team. Can we get separate cPanel in Starter Linux hosting plan? No, we do not provide separate cPanel in our Starter Linux hosting plan. We only provide separate cPanel in our Reseller Plans only. For more information you can check the reseller plan from our website. Is it possible to install SSL certificate in our hosting plan to use HTTPS? Yes, you can easily install SSL certificate but for that first you have to purchase SSL Certificate from the market. And to install SSL Certificate you will need Dedicated IP. Dedicated ip will be provided by us and cost (Rs.3000/year). What happen if something got deleted mistakenly from my website? Do you provide backup? Yes, we provide full backup for all the websites which is hosted on our server. You can restore the full website or a particular file without any charges. Our support team will help you in this. Which is the best hosting plan for my wordpress website? For wordpress website you should go with our Linux hosting plans, as Linux server provides better support for PHP. Does it supports CMS applications like Wordpress, Magento, Joomla, Drupal etc.? Yes, you can install all PHP based applications in Linux Web Hosting Plans. CMS example : Wordpress, Joomla, Drupal, Magento, AbanteCart, PrestaShop, OpenCart, PHPBB, SMF, Dolphine, YetiForce, B2Evolution, FlatPress, Moodle etc.